With the garden this year, I had quite the bounty of cucumbers. Now, I love me some cucumbers, so for the first few months, I just ate them. But even I have a cucumber limit. When I reached it, I found this recipe on Delicious Melicious for refrigerator pickles and jumped on it because it literally took 5 minutes! Love that! – Put some of the fresh dill in the bottom of each jar. – Pack 1/2 full with cucumbers. 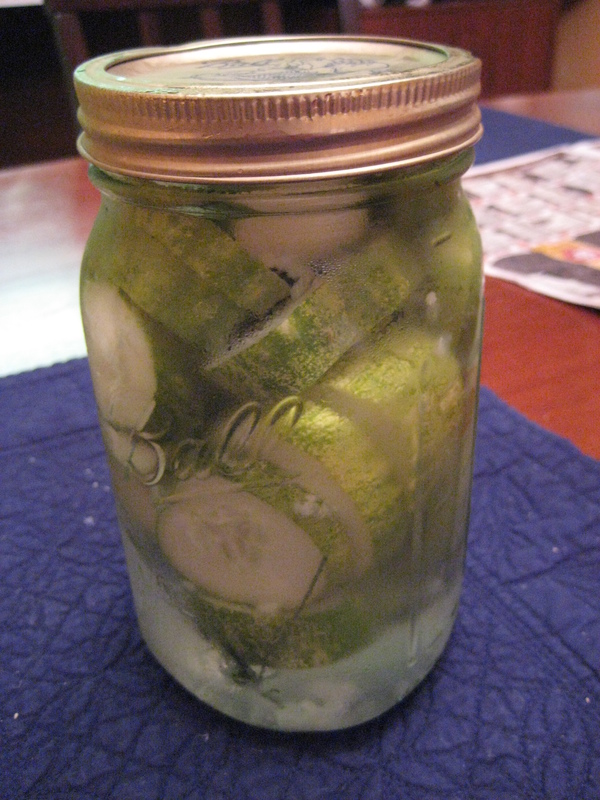 Lay more fresh dill on top and finish filling the jar with cucumbers. – Put minced garlic on top, pour brine into jar until it’s full. – Put the lid on, and leave them in the refrigerator for 2 days before using.